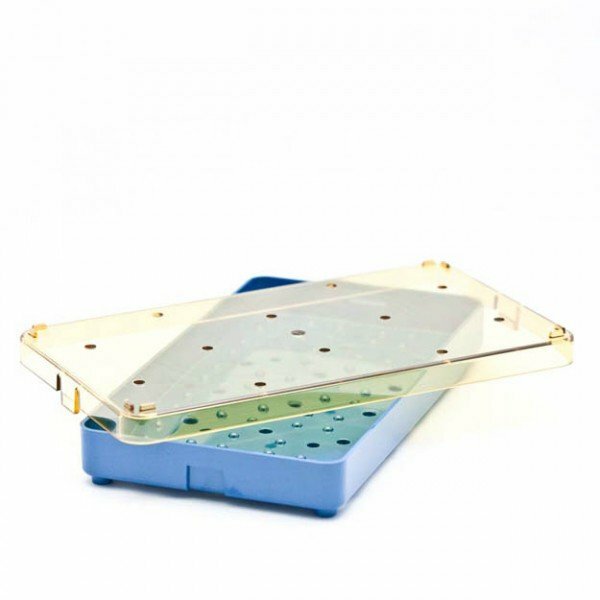 Instrument Sterilization Tray Base and Lid. Silicone mat not included. 4 inches wide by 7.5 inches long by 0.75 inches deep.